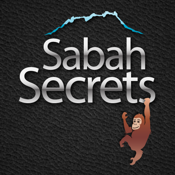 Carefully thought and crafted by Sabahans, using Secrets of Sabah as a travel planner is almost like having a personal local guide unveil to you secrets that Sabah has to offer. Secrets of Sabah is brought to you with compliments from Bunga Raya Island Resort & Spa, and Gayana Eco Resort; luxurious island properties set on a coral reef island off the coast of Borneo, with full-service 5-star resort facilities including spa, restaurants, diving, and a Marine Ecology Research Centre. Let the Secrets of Sabah help you plan your holiday, and ensure you make the most of your trip to "The Land Below The Wind".